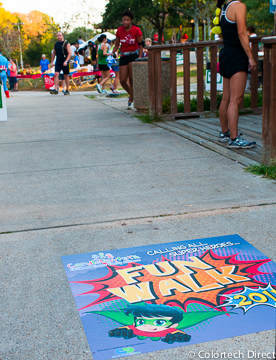 Floor and ground decals are a great way to direct traffic, promote an event, engage customers as they shop, create or reinforce brand identity, or even be used to decorate for a special event. Floor graphic materials are available for virtually any flooring surface, such as tile, carpet, or concrete. There is no limit to how or where you can use them. 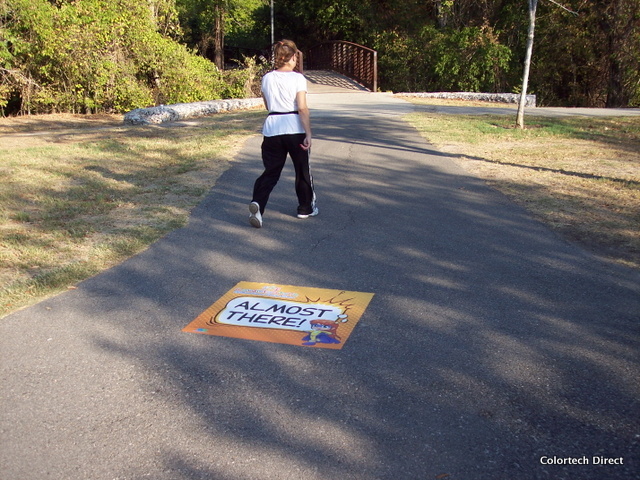 ​Graphics that will be in place for a while should have a slip resistant surface and hold up to common cleaning methods. The adhesives should be strong enough to last but not leave damage when removed. 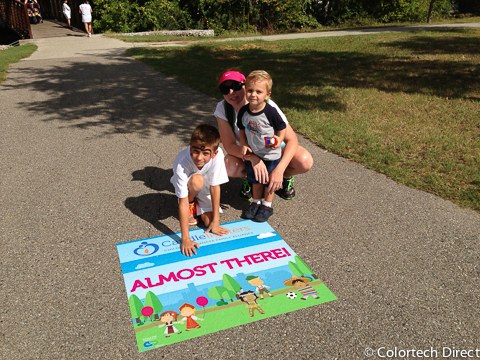 We have a variety of floor graphic materials designed to be used for different lengths of time and to fit any budget. 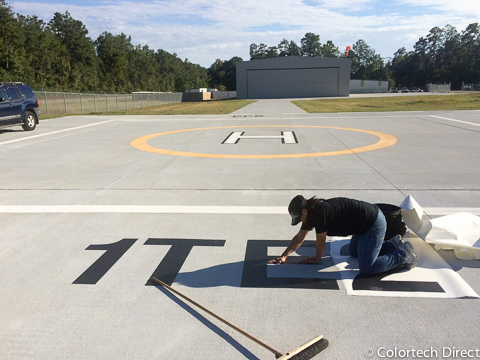 Graphics applied to helipad using outdoor material and anti-skid over-laminate. 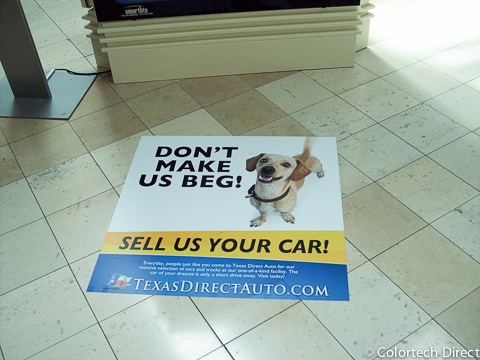 Graphics applied to mall floor using anti-skid over-laminate. 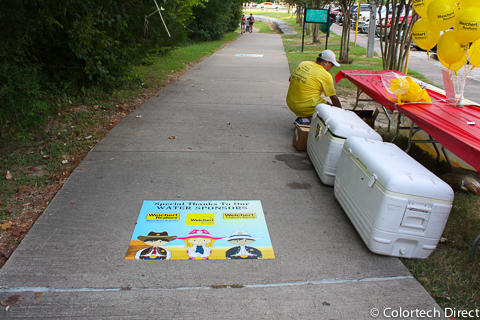 Graphics applied to sidewalk using outdoor material and anti-skid over-laminate. 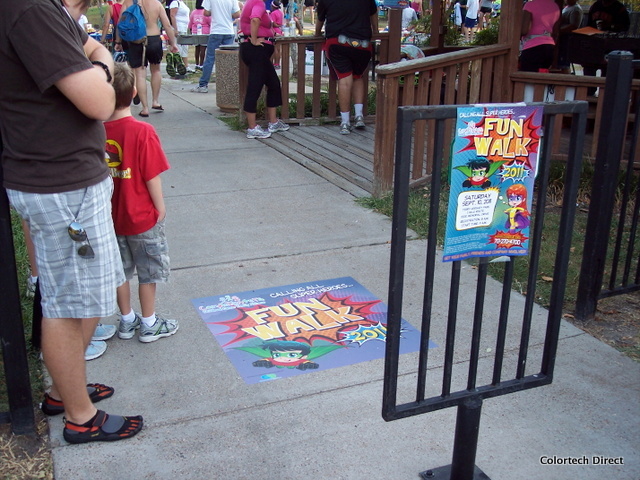 Graphics applied to polished concrete floor using outdoor material and anti-skid over-laminate. 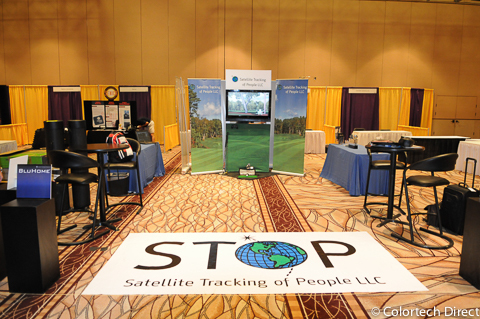 Large floor graphic for trade show booth used on interior carpet.